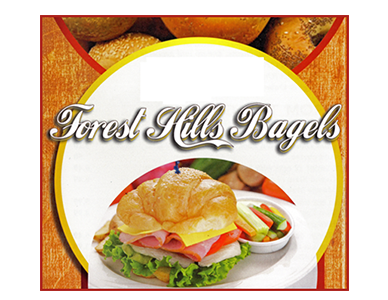 Online ordering menu for Forest Hills Bagels. Here at Forest Hills Bagels, we serve American deli cuisine. Our menu features deli salads, soups, sandwiches, wraps, and more! Don't forget to try our Panini and Omelettes! Find us on Queens Blvd between 69th Avenue and 69th Road. We're near Willow Lake and Forest Hills Stadium. Order online for delivery!